Kigali Today Ltd works as news Agency and it generates content in three languages, Kinyarwanda, English and French . 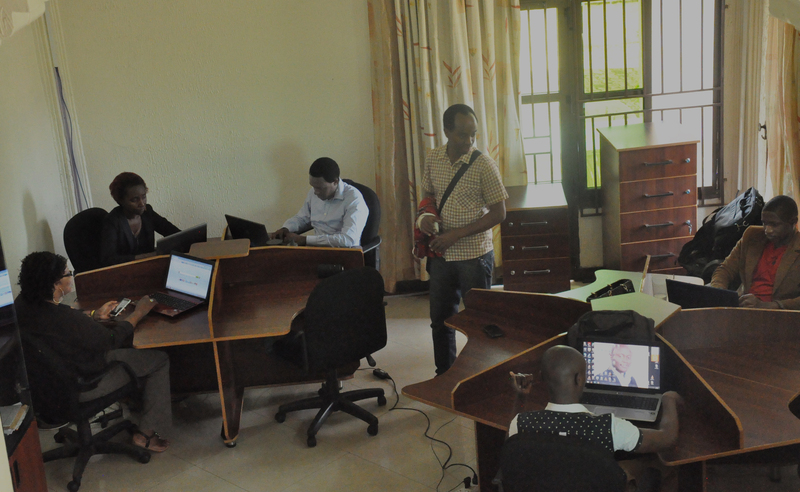 Kigali Today Ltd is the only one with journalists in all the 30 districts of the country. Kigali Today LTD operates a 24hour FM radio (KT Radio 96.7) and in few month on 107.9FM exclusively for South and Northwest and on 102.0 FM for East. KT Radio can also be listened online at www.ktradio.rw through android application “TuneIn”. KT Radio is the only private Radio in Rwandan history to soon have five frequencies covering the entire country and the region. Also, our ever growing listenership is motivated by our professional and popular journalists who work tirelessly to report on a wide range of issues from the whole country. Through all available new technologies, KT Radio has set up several platforms to engage its listeners to actively participate in almost all of its shows using platform like “whatsap, Facebok, Twitter, SMS, Free Call in the Studio, etc”. With the presence of the above mentioned professional journalists, KT Radio has set up record and standard of professional and timely reporting from the real source of information. Advertisement /Radio Spot Different types of artistically recorded adverts/spots are played in a specific targeted time during our different programs Adverts and spots are mostly played during the time the listenership is very noticeable and dynamic. Road shows( Live) These are shows exclusively made for our customers to raise awareness among citizen on the services provided by them. Due to our unique coverage of/presence in all 30 districts of the country by our professional journalists, we allocate specific time to each district to conduct Road shows that would be broadcasted live with interaction with other listeners moderated by the Journalist in the Studio. These road shows take place mostly take place in the very crowded places like markets and other public gatherings whereby our journalists actively interact with the public while promoting NATIONAL ELECTRAL COMMISION services alongside other issues pertaining ordinary life of the audience. DJ/Presenter mention This consists of when a DJ in the Studio during a particular show keeps mentioning our customer and the services/products he/she provides to raise awareness, educate and engage the audience on the same. The “mention” also give more details The mention time can be determined depending on the customer’s choice but mostly during the high frequency or prime time. Radio Contest/Quiz This program is particularly made to encourage our listeners to learn more about the services of our customers. It can be designed sometimes as a kind of competition where our listeners can get some motivating tokens to keep them on alert for the next sessions. The Contest/Quiz is mostly designed to educate, engage and inform the audience on the services and products our customer offers to them. P.S: We have the capacity to provide all the above services with a close and regular involvement of our 30 reporters in all 30 Districts. The frequency of the above and other details related to this proposal can be discussed in details between two parties. Our Kinyarwanda web presence has emerged with a special and keen coverage of the entire country, both in rural and urban areas. As of 10th January 2015, Kigali today news website (www.kigalitoday.com) has received a total of 200,431 comments; on 22,346 articles published with an average of 29,005 single visitors per making up to over 13 million since Kigali Today was established. It is the sole news website in the country with professional journalists/reporters in each district of the country. This make Kigali Today website to cover a wide range of the daily country life with a diversified audience. Most of articles published by Kigali Today are known to be the source of information to other media outlets as they are taken by mostly all private radio stations and TVs, since we are the only media house that has a presence throughout the whole Rwanda (Multiplying effect). This uniqueness leads all other media to use articles published on Kigali Today website to allow their audience to know what happens in regions far from the city of Kigali. E-Banner A professionally well designed e-banner would be made and posted on the space of our customer’s choice. Different spaces are availed and mostly the prime space. The banner is posted with the direct link to the customer‘s website. The banner can be put in motion to attract the web visitors at the first sight. Professionally we written articles would be made from all 30 districts mostly with intention to raise awareness and knowledge level of our customer’s services. They can also be written according to the customer request or event coverage. The same produced articles are also aggressively shared on all our social media platforms. 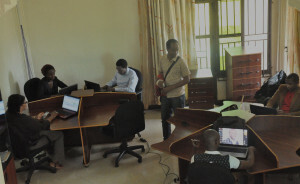 Each reporter/journalist in every District would produce different articles on the services of our customer and as www.kigalitoday.com has a online specific window for each District, it will be easier to document them and produce a comprehensive report and encourage people to comment on them to help in monitoring and evaluating the level of knowledge of our customer’s services. Video/You Tube Channel During the Road shows, we can record and produced videos in form of documentary done by our professional Multimedia Team and be posted on our You Tube channel which is the most viewed and the subscribed channel in Rwanda. We have the capacity to shoot videos from all 30 districts during the Road shows and other events organized by NATIONAL ELECTRAL COMMISSION, which later on would be produced in form of documentaries. – Also, during the live Radio programs in the studio, our professional multimedia crew will record the Videos of the show and produce them into documentaries to be later on posted on our YouTube channel as well. -Our YouTube channel has so far reached 10,894 subscribers with a total of 4,411,094 views and still rising day by day. This makes it the only channel with such figures in the country and this exclusive popularity is mostly driven by our professional multimedia team which works tirelessly to provide attractive quality product (Video). Online Survey This is a platform designed to test and educate our readers about the services/products of our customers. The survey can be conducted regularly and by topic of choice depending on the priority. P.S: The above services on www.kigalitoday.com apply also to www.ktpress.rw as well as www.ktradio.rw and more other websites as we produce and provide stories to more than 40 websites. Kigali Today Ltd operates a news agency KT Press: www.ktpress.rw which has a unique advantage of working with more than 200 globally reputable media houses/news wires. Within a space of just eight months since its establishment, KT Press articles published by the big global medias houses have attracted more than 200,000,000 viewers/readers. Through KT Press, we offer unique opportunity of exposure to our corporate customer by branding their services through a unique package of “Corporate release” at affordable price. Each story/article published in our global news wire network has the minimum coverage of at least 150 global news wires and a readership of at least 2,700,000 readers per article.